Being not only a mom that works from home on a busy schedule, but also a mom who blogs as well can be quite overwhelming at times. One thing that always keeps me focuses and keeping everything on my to do list is to write things down. I'm one of those ladies that are always writing lists. Even with an Iphone that has a calender and note app, I can't help it. Writing things down that I have to do seems so much easier to me and helps me relax a bit. Since I'm constantly working with different companies and brands, I was in need of a great planner to organize my meetings, reviews and people I have to contact. 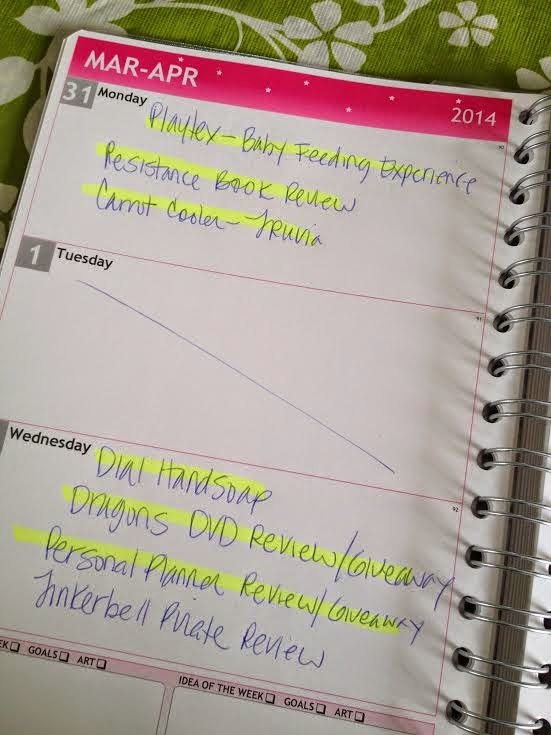 That's why I was pretty excited when Personal Planner contacted me to review one of their planners. I was very excited. A planner that I can design and customize to my liking. The first thing I had to do was go on to their website and click on either a blog planner or "create your own," which took me to another page where I could choose what exactly I wanted to customize, a planner, notebook, wall planner or accessories. I went ahead and went to planner. Designing my planner was easy as pie. Took me only a few minutes and once I was done I got the confirmation that my planner had been received and another email when it had been mailed off. When I received it in the mail, I was really impressed by the quality of the planner. 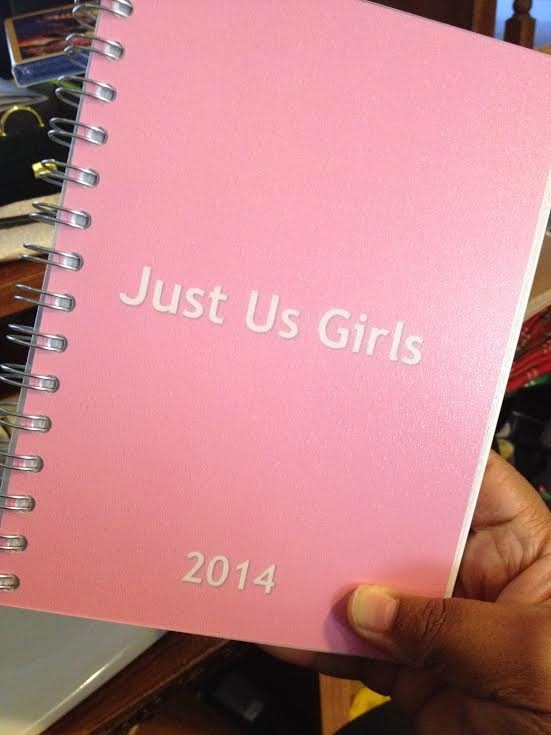 I love that I now have a planner that's customized just for Just Us Girls. I also love that I added a few extra pages in the back for ideas I may have on future posts on the blog. I'd definitely recommend Personal Planners not only to my fellow bloggers, but also to all you moms out there with hectic and crazy schedules, one of these customized planners would definitely help you out a bit and the best part is you can buy one any time during the year since your planner can start whatever month you want. These planners are very affordable for being customized and ship WORLDWIDE! Disclosure: All opinions are my own. 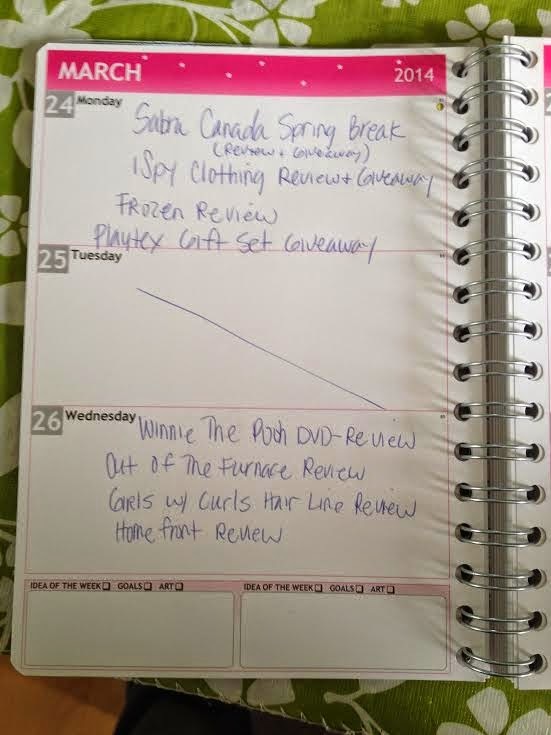 I received a customized Personal Planner at no cost for the purpose of this review. No other compensation was received.